Understanding customer preferences is very important whether you are selling a product or offering a service. This is because customers are the determiners of how successful a company becomes. The Product Likes add-on is the best way to get to know your customers’ likes and dislikes, which will definitely help you increase sales. 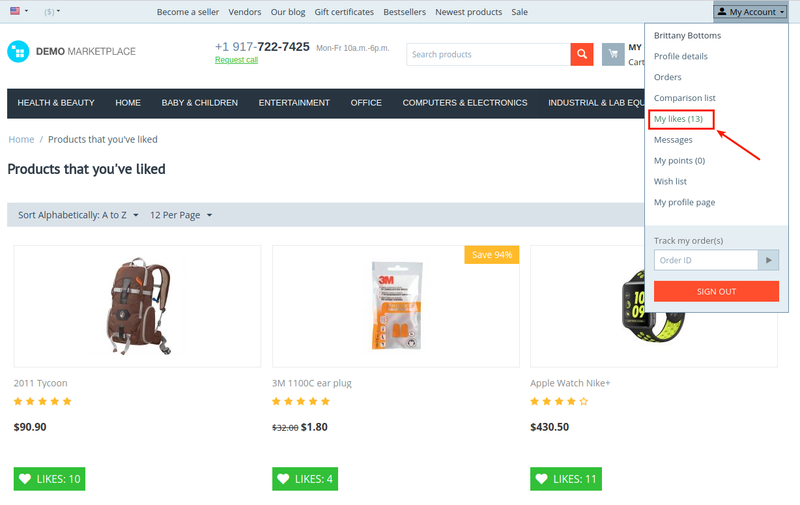 The Product Likes add-on allows users to like any product in your store. 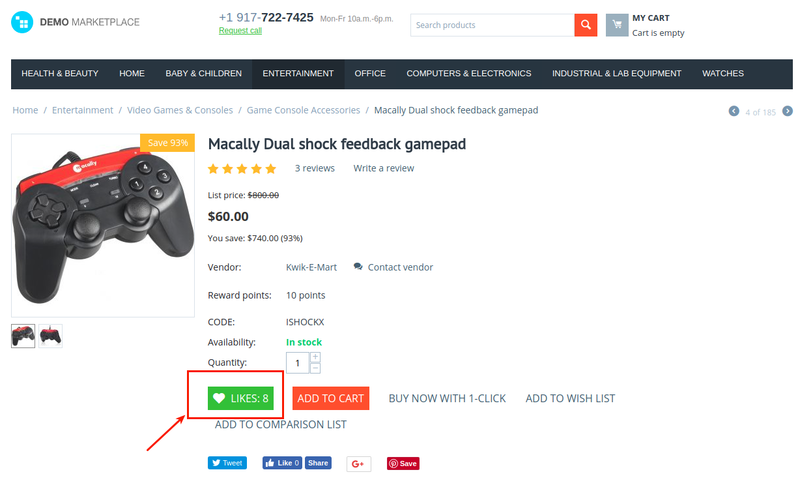 The LIKE button is added to product details pages. They can also see the likes count for the liked products. The Product Likes add-on creates a new My likes page in the user account. Customers can save desired products in this list by liking them. They can return to any product later and add it to cart right from this page. It is an effective way to reduce shopping cart abandonment. 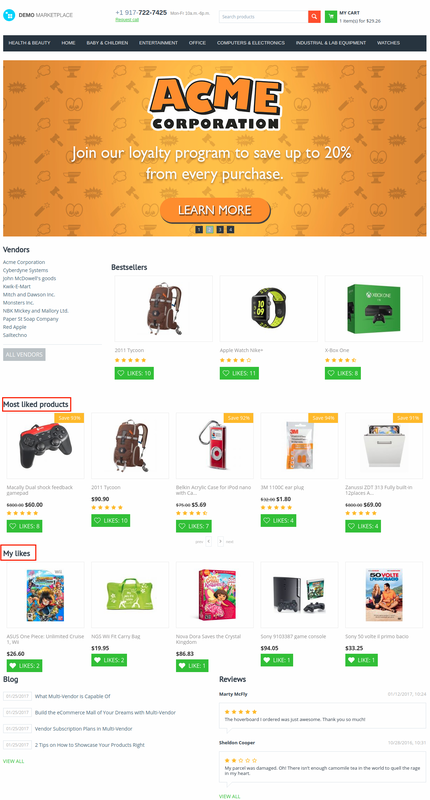 If you’d like, you can show the Most liked products block containing the most popular products in your store and My likes block containing products the user liked. Your customers will be able to sort products by the number of likes: from low to high and from high to low. Get to know your customers’ choice–start using our Product Likes add-on now! 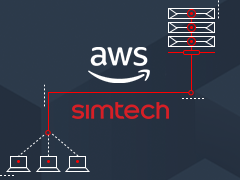 The add-on is compatible with CS-Cart and Multi-Vendor 4.3.8 and above. Check out the Product Likes add-on in our demo store. Install the Product Likes add-on on the add-ons list page (Add-ons → Manage add-ons). Click the + button in the top right corner, select an archive and click Upload & install. You can now find the installed add-on in the list of installed add-ons, just make sure it is set to Active. 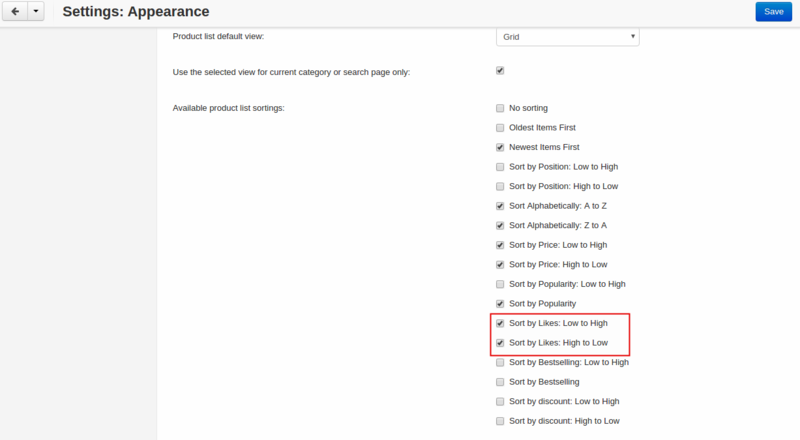 Show Likes column on the products list page–If enabled, the number of likes the products gained will be shown in the Likes column on the products list page in the admin panel. 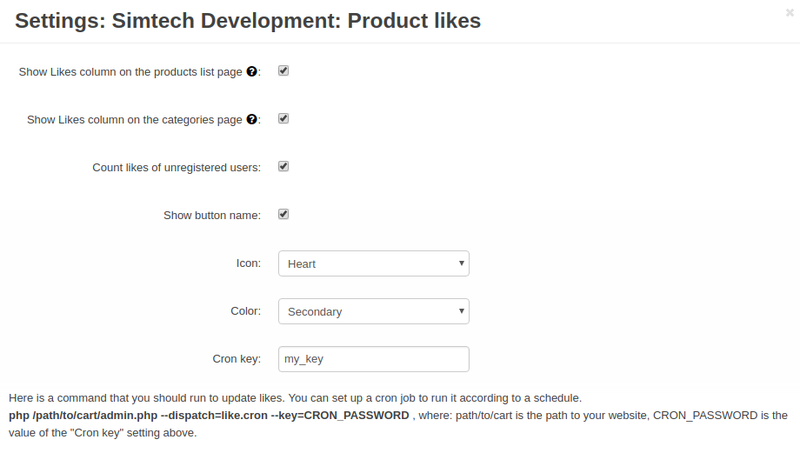 Show Likes column on the categories page–If enabled, the number of likes the products in categories gained will be shown in the Likes column on the categories list page in the admin panel. Count likes of unregistered users–If enabled, unregistered users will be able to like products in the store and their likes will be also counted. Color–Select the color you would like to apply for the Like button (primary, secondary, tertiary). You can check the colors in the Theme Editor. Cron key–Your key to the cron system. Use this command to update the count of product likes automatically according to a schedule. CRON_PASSWORD is the value of the Cron key setting above. Navigate to Design - Layouts. 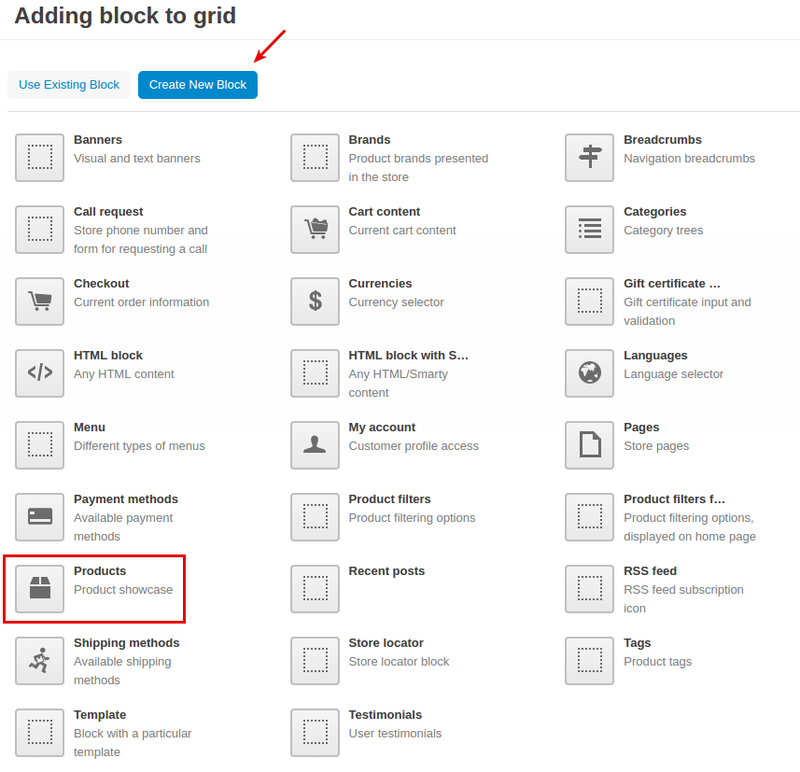 On the editing page of the Homepage layout, click the + button to add a new block. 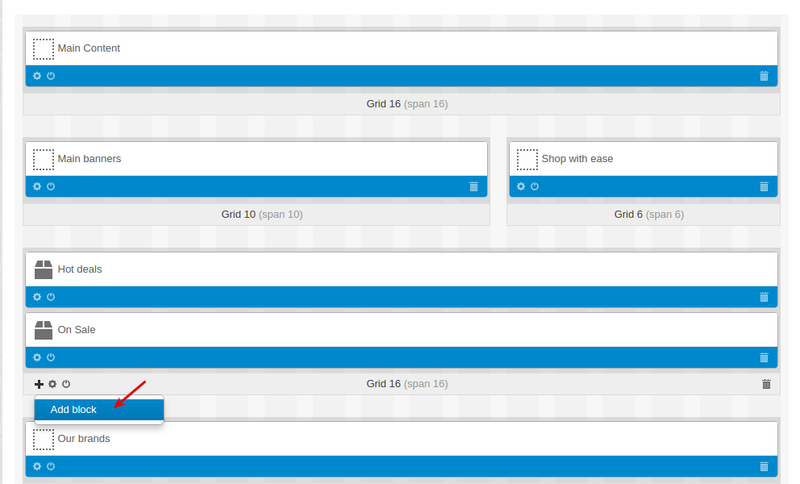 In the Create new block tab, select the Products block. In the General tab, give it a name and select the desired template. In the Content tab, select the Most liked and My likes filling for the Most liked products and My likes blocks respectively. Done! Now you can go to the storefront to see the recent changes. 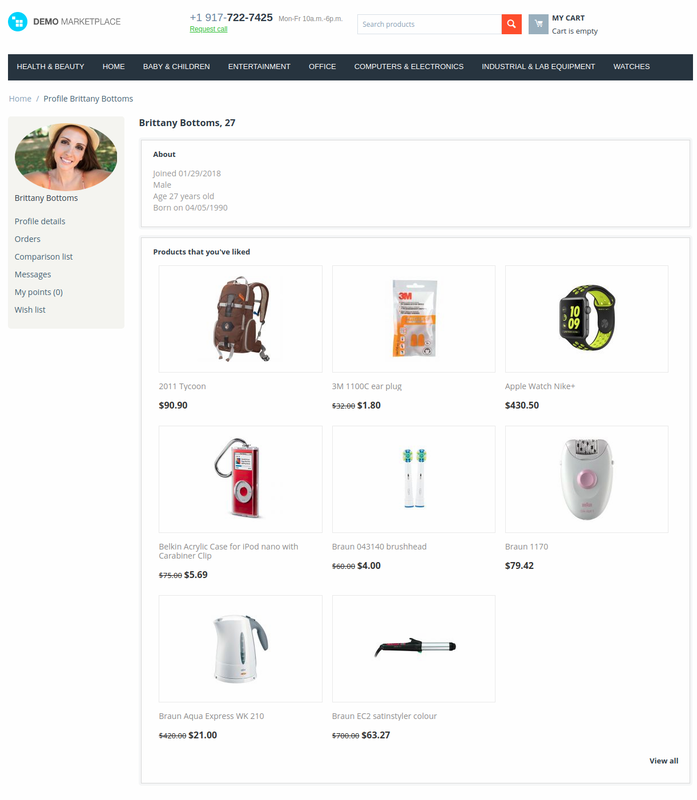 The Products likes add-on creates a new My likes page in the customer’s account, allowing them to see a list of products they liked and easily add products to cart right from this page. Your customers can sort products by the number of likes: from low to high and from high to low. Go to Settings - Appearance. Navigate to the Products list layouts settings section. 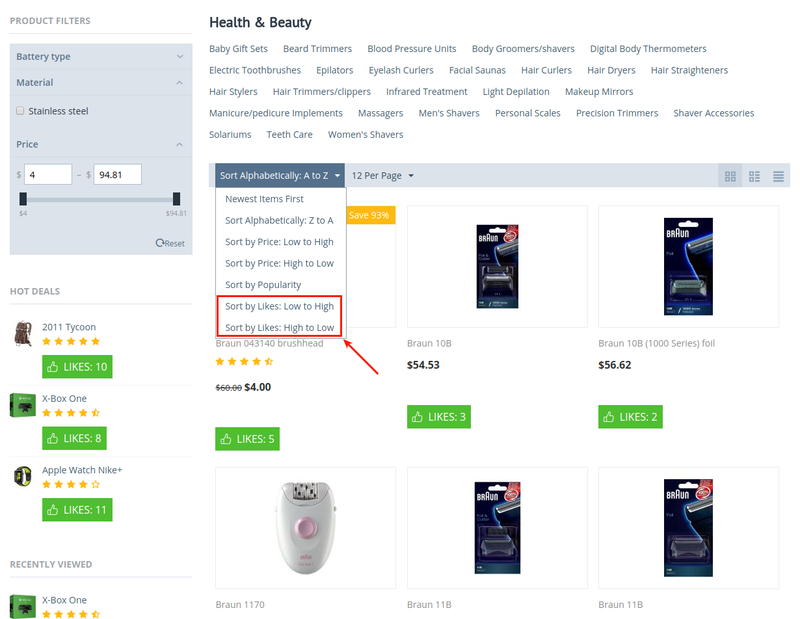 In the list of Available product list sortings select the Sort by Likes: Low to High and Sort by Likes: High to Low checkboxes.